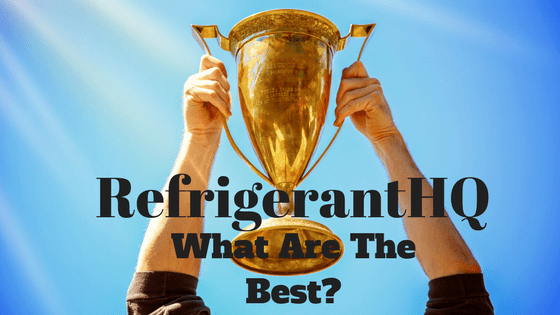 What Are The Best 5,000 BTU Window Air Conditioners? Window air conditioners can be a lifesaver in the middle of summer. Sure, I am writing this article in January but I can assure you ladies and gentlemen that I can remember the heat of July and August. You see, I am from Kansas and if you didn’t know it it gets pretty darn hot here during the summer. On some of the more severe summers we get four, five, or even six weeks straight of one-hundred degree temperatures. Don’t worry though, at night it falls down to a balmy eighty-five degrees. Here in Kansas, and I can imagine elsewhere, there is a huge market for air conditioning. I don’t care if it’s in your car, your office, your home, or even your tractor. (Yes, they have that in tractors.) The need for air conditioning is crucial but what do you do if you move into a new home or a apartment that does not support air conditioning? What if the home is so old that there are no central ducts routed in the walls? How do you stay cool then? Well in this particular scenario you have two choices and almost everyone chooses option B. A) Pay a contractor to retrofit your entire home so that it can handle a central air conditioning system. This involves not only installing inbound ducts but also outbound. They tear apart your walls and make one hell of a mess. B) The other option is window air conditioners. They’re simple and most of the time they’re cheap, at least when compared to the big central air systems out there. All you have to do is buy the unit, pop it in your window, secure it, plug it in, and presto! You now have cold air and relief from the summer’s sun. Window air conditioners have to be mounted either through your window or through a make-shift hole in your wall. Once mounted correctly they provide a stable and reliable cooling source. Some people may struggle mounting these units, especially if it is a higher BTU model and is a heavier unit. Depending on the size a proper mounting job may require two people. Generally, window units are more efficient then a portable unit. That means that you get more cooling power per BTU and also save on energy bills when compared to portable air conditioners. Another benefit to them is that you don’t have to worry about where to vent the exhaust. Window units are designed to be halfway in and out of your house so that there is a space for the exhaust to go right away. The downside here, which I’ll mention further below, is that mounted window units are sometimes seen as an eyesore and depending on where you live you may get complaints. If you have decided on a window unit then check out RefrigerantHQ’s guide on ‘What are the Best Window Air Conditioners,’ by clicking here. Portable air conditioners are just that, portable. That means they are easy to move around your home or to even pack in your truck and take somewhere else. The versatility of this adds a lot of favor to the portable air conditioner side of things. A portable air conditioner is much much easier to install. There is no mounting required, no support brackets, none of the hassle that comes with installing a window unit into your home, garage, or office. These units are all about the ‘easy’ button. 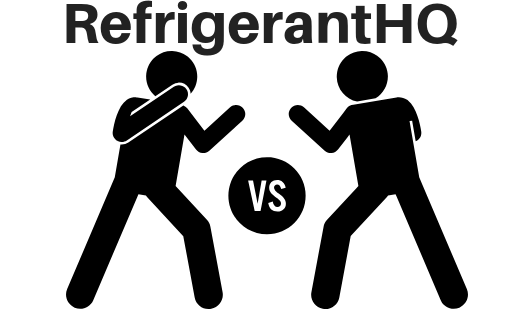 While portable air conditioners are easy to install they also prevent any potential squabble with your home owner’s association. Most HOAs do not allow a window unit hanging out of a home. They see it as an eye sore and will tolerate it. A portable air conditioner can give you a work around as the worst anyone is going to see is a small exhaust tube. 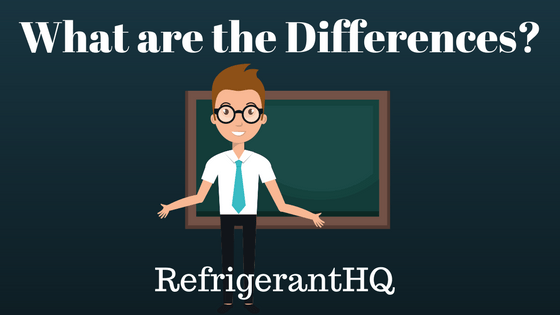 For RefrigerantHQ’s guide on ‘What are the Best Portable Air Conditioners,’ by clicking here. Now when you decide to buy a window unit and you begin looking at the different brands and sizes out there you may begin to feel overwhelmed. There are SO many choices out there. How can you be sure that you pick the right one? I’m not going to get into every little consideration to make when buying a window unit in this article. Instead, I wrote a window air conditioner buyer’s guide that takes you through the steps of what to look for and how to prepare to buy a window air conditioner. This buyer’s guide can be found by clicking here. This guide should answer any question that you would have on air conditioner. If you feel like I missed something please feel free to reach out to me by clicking here to let me know. I am a big believer in giving consumers choice, but a limited choice. Instead of offering you fifty or even one-hundred different options for your new window air conditioner we are going to offer you three products in each category. The thinking behind this model is giving the consumer a Good, Better, Best option. This methodology of selling was taught to me nearly ten years ago from a former supervisor. The concept behind it is we give an option to the price conscious customer: Good, an option to the middle of the road customer: Better, and an option for the premium customer: Best. So, once you recognize what kind of customer you are and what your budget is we can begin to narrow down your selection. The last thing that I am going to mention before getting into the products is that a Good ranked product is not a bad product by any measure. They are a perfectly good product they just not may have all of the bells and whistles that a Better or Best rated product may have. Think of it as a bare bones car compared to a sports edition. The bare bones vehicle will still service it’s function getting you from point A to point B but it will not have all of the features that a sports edition will. The 5,000-6,000 BTU range air conditioners are meant to cool a one-hundred to two-hundred and fifty square foot room. These sized rooms are your typical bedrooms or offices that you would find in most standard homes or apartments. These are the kind of window units to cool your bedroom for sleeping or for a refuge away from the heat in the rest of your home. 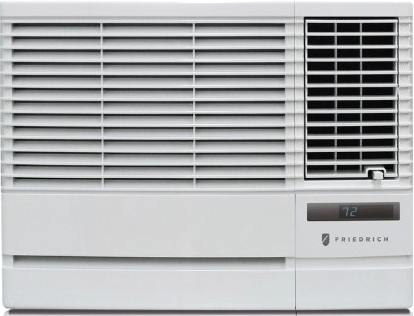 The Frigidaire FFRA0511R1 is a great and easy buy for people who just want relief from the summer’s heat. This is a cheaper and rather simple unit but I can assure you that it gets the job done. With over two-thousand reviews on Amazon.com and an average rating of 4 out of 5 stars you cannot go wrong with this unit. The Frigidaire FFRE0533Q1 is a bit higher in price then our previous model but with that higher price you get a lot more features that simply just weren’t there on the Good choice. With this product you get an electronic display and controls that displays the temperature of the room real time. Along with that you get a fully functional remote control. The Friedrich Chill CP06G10B is quite a bit more expensive then our previous choices, but remember folks this is our Best option in this BTU range. This unit comes in at 6,000 BTUs which is a whole another 1,000 BTUs higher than the previous choices. This unit is Energy Star certified by the EPA. (Which means it is very efficient and comes with a low energy bill.) Along with a remote control and a digital display you also get a twenty-four hour timer that lets you program on and off times as well as a auto-restart feature in case the power is lost during the day or night. The last thing that I’ll mention is something that I hadn’t even thought about. The CP06G10B comes with a anti-intrusion feature that secures the actual unit to the side sleeves. This prevents someone from kicking in the unit and breaking into your home. This is a high quality and premium product. If you find that the 5,000 BTU size isn’t the right size for you then I would highly suggest you visit our latest article titled, “What Are The Best Window Air Conditioners.” This article is similar to the one you are reading now except that it shows suggestions and input for all window air conditioner sizes. Yes, that includes 5,000 BTUs all the way up to 24,000 BTUs. By reading through this article you will get a feel for exactly what sized air conditioner you need. I hope this article was helpful and thanks for reading folks. Remember to stay cool! 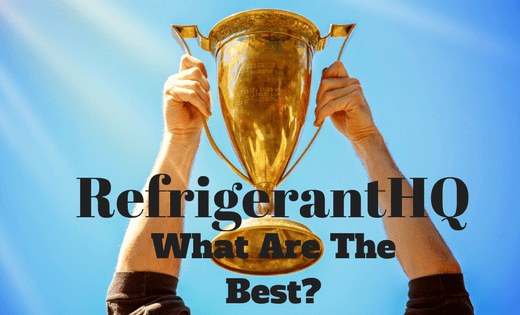 What Are The Best 12,000 BTU Window Air Conditioners?